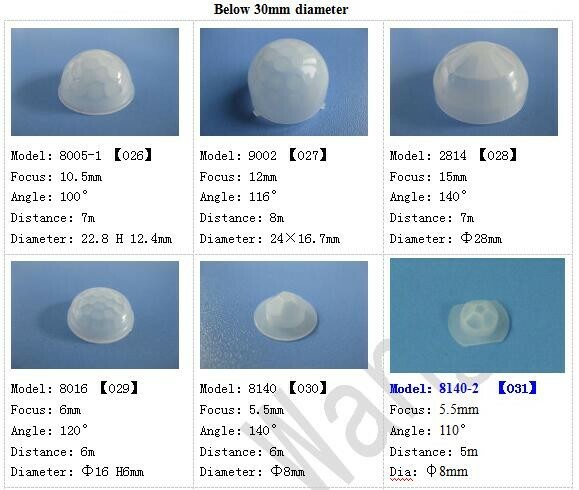 We have many different diameter PIR lens, welcome to contact us for more information, thanks. 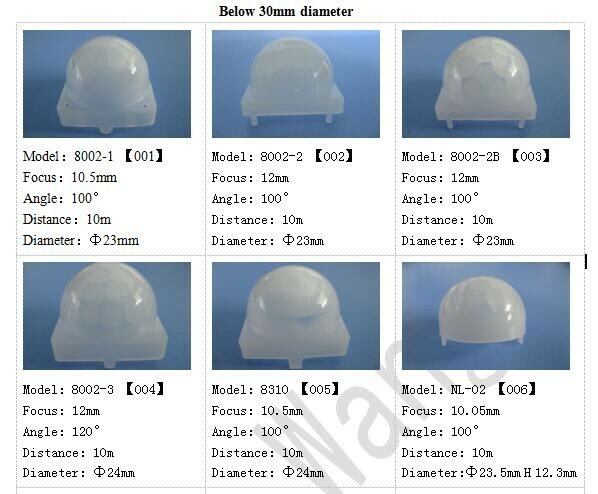 Design: professional optical design experience of infrared induction Fresnel lens, to ensure meeting the customer's design requirements. 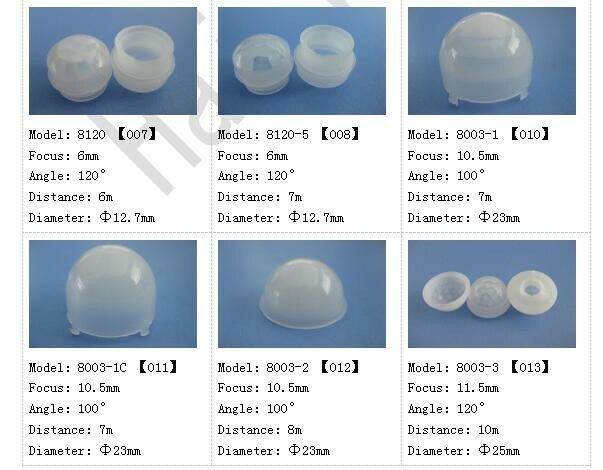 Die production: over ten years of infrared induction lens mold production experience, to ensure the consistency of product and design. 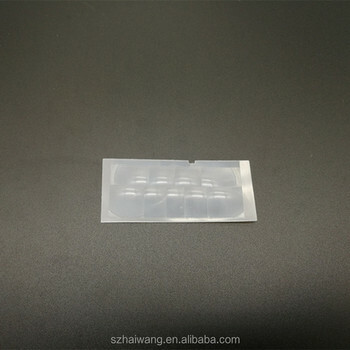 Large-scale production: tens of millions of production every year, assigned suppliers for international brands, to ensure product quality and delivery period. 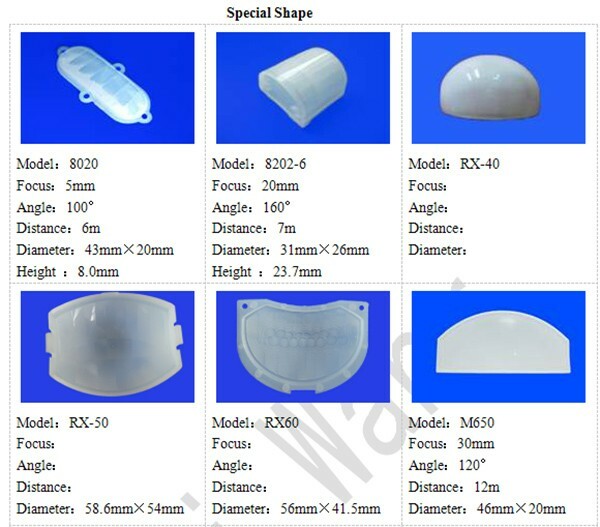 We will process as the drawings and requirements rigorously. 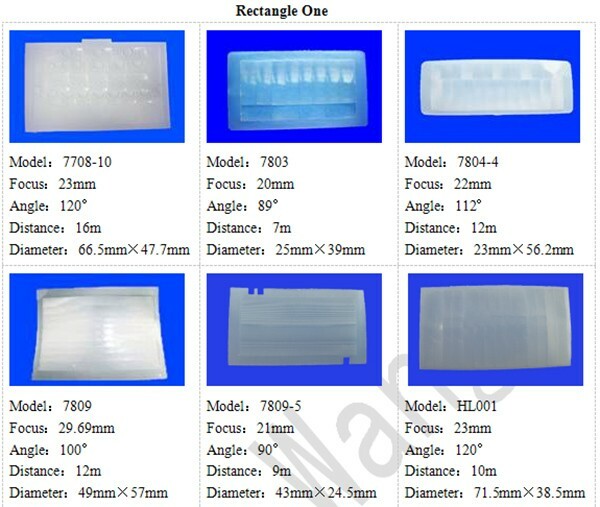 Our engineer will check or design the drawings according to the details. 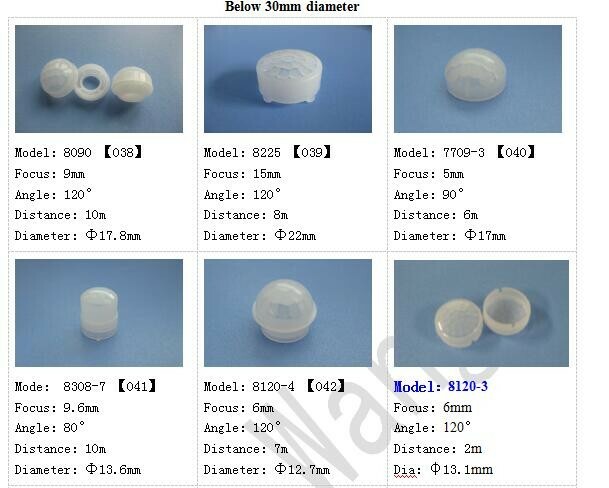 We have many stock lenses offered. 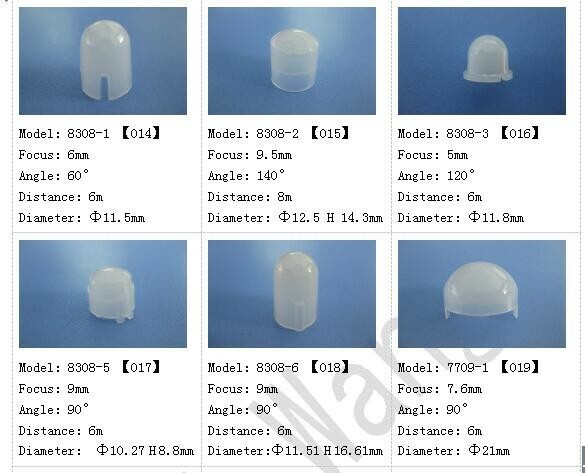 5.special shape lens series ( total 8 types).